The Island of Hawaii is an amazing place to experience. For that reason, all of us at Kilauea Hospitality Group are honored to be a part of such a special place on this magical planet earth. We take pride in offering our guests an incredible, eco-friendly lodging experience and ensure that we take proper steps to do our part to protect the beautiful island we live on. The Island of Hawaii offers much to be desired, especially in terms of nature. This beautiful island is home to volcanoes, waterfalls, rainforests and black sand beaches which are all magnificent parts of nature that piece together perfectly. As an hotelier on the island, we believe that it is part of our job to help protect this picturesque place we call home. 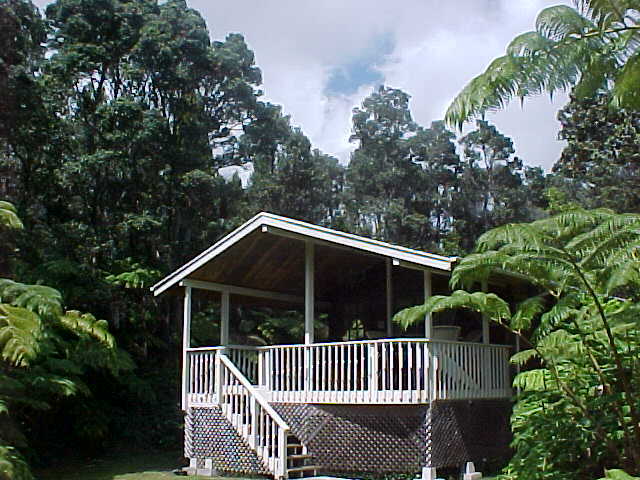 Kilauea Hospitality Group is located in the rainforest near Volcano Village. We understand that rainforests are delicate ecosystems that shouldn’t be taken for granted. Since our inception, we have made it our duty to employ eco-friendly lodging solutions to help protect, preserve and cherish the small amount of rain forest left in Hawaii. With just 10% of Hawaiian rain forest standing today, we strive to take great care and show respect to this magnificent natural wonder of the world. We collect rain forest precipitation for our cleaning, gardening, landscaping, and aquaculture needs. We refrain from using harsh hospitality chemicals that pervade our industry. We employ a terry recycling program with each guest room to minimize energy usage. We compost all organic waste. We use recycling systems for aluminum, plastic, and glass. Much of our landscaping preserves the natural flora and topographic features of the area. When you stay with us, you can be rest assured that we are doing our part to keep the island pristine so that our guests can enjoy its beauty for many generations to come. Surround yourself with nature, beauty and comfort in Volcano Hawaii and sleep easy knowing that your stay is eco-friendly.